Brazil is the largest medical device market in Latin America, and has an established but complex regulatory system. Medical devices in Brazil are regulated by the Agência Nacional de Vigilância Sanitária (ANVISA). ANVISA in its effort to streamline medical device approvals, recently announced two new significant changes that affect medical devices. This change affects all Class I and Class II medical devices. ANVISA has simplified the registration process for both Classe I and Class II products. There is a new format. Rather than preparing a lengthy application, applicants can now fill out forms provided by ANVISA. The forms ask direct questions and contain all the information requested by ANVISA. Medical devices can now go through the simplified Cadastro registration route, instead of the more complex Registro registration route mainly for Class III and Class IV products. Based on expert advice and experience, product registrations are expected to take as little as 45 days compared to 120 days previously. ANVISA will now accept test data from the manufacturer’s country of origin. No local testing is required for Class I and Class II devices as long as the applicants comply with the international guidelines, to ANVISA. Test data will be accepted in English, Spanish, or Portuguese. For Class I and Class II medical devices, GMP inspections are not required. Tips: Ensure the stability test covers extreme conditions due to Brazil’s climatic diversity. 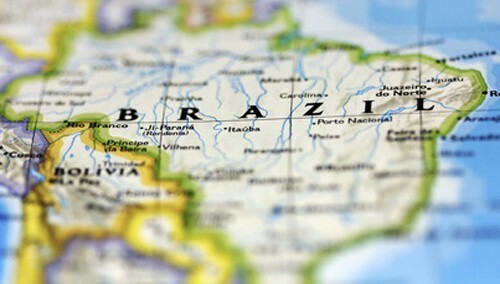 Appoint a Brazilian Registration Holder if you do not have a physical location in Brazil. This change affects Class III and Class IV medical devices. ANVISA has lowered the GMP Inspection fees for Class III and Class IV devices from $36,000 to approximately $24,000. This change does not impact the timing of the inspection. Tips: GMP inspection can take a long time. Appointing a third party like BSI or TUV may seem like an ideal option, but it can take longer and cost more. It is highly recommended to hire a local agent in Brazil. There are local procedures through court to save time on inspections, which are familiar to only the local agents.